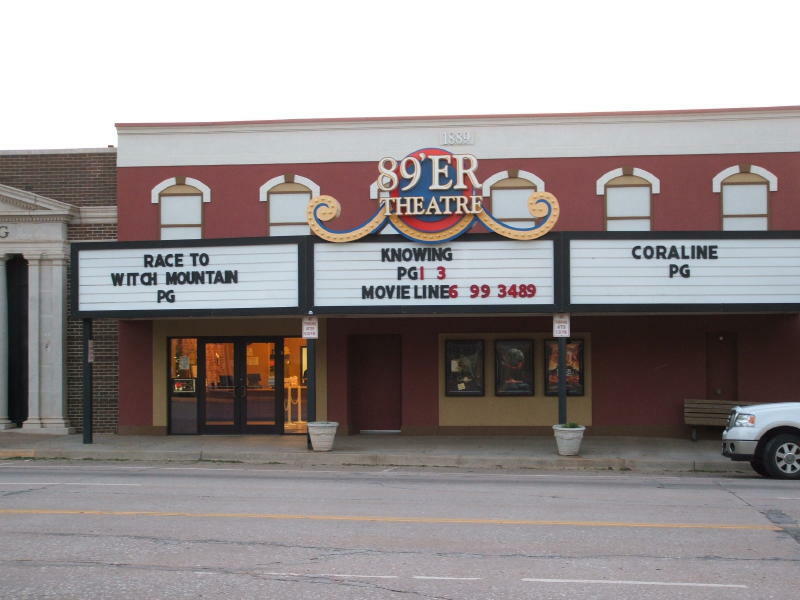 The 89er Theatre was built in 2005. This theater replaces another 89er Theatre that burned down in 2004. The original 89er was a single screen and the new theater is a triplex. The “new” 89er Theatre was built at a different location than the previous one. The only thing that these two theaters have in common is the name 89er Theatre. Seating is given as 101, 103 and 94. Here is a photo of the new 89er Theatre. I don’t know if it’s in an old building that was converted into a theater, or if it’s a new building that was decorated with Victorian details. New pictures in the photo section.